Welcome to The Click, where we curate the very best of Black entertainment on the InterWebs including digital series, vines and vlogs. Keep up on the who’s who and what’s what of alternative entertainment, as guided by writer, producer and web series creator Kozi Kyles of Myth Lab Entertainment. Think you’ve got a hot project? Find Kozi and tell her about it via @mythlabent. You can also send a message to digitalpitches@ebony.com. 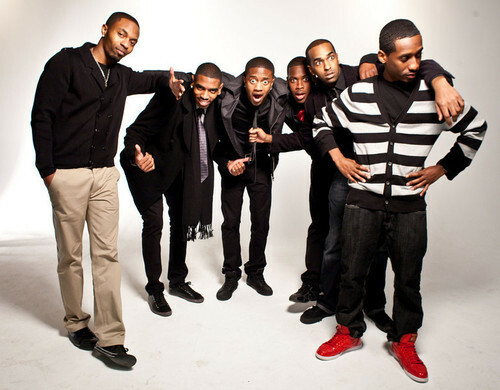 We love the guys of Dormtainment not only for their humor, but their hustle. The six-man comedy team consistently brings the funny every Sunday on their YouTube channel that has amassed over 700,000 subscribers and 89 million views. 6 Guys 1 Car is one of five digital series ordered by Comedy Central and will be produced by CC:Studios and distributed across multiple platforms including cc.com and the recently released Comedy Central App. Here’s hoping this Comedy Central partnership brings Dormtainment even closer to nabbing a prime-time television slot. We’ll be checking out 6 Guys 1 Car. Will you?